Nico Bolzico show off their new super powerful Note. 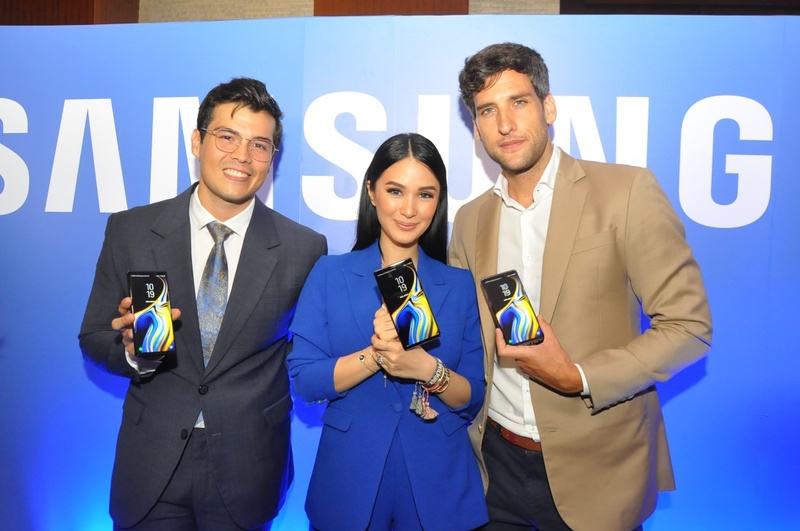 In line with this, Samsung likewise officially introduced Heart Evangelista-Escudero, Nico Bolzico, and Erwan Heussaff as the newest brand ambassadors of the Samsung Galaxy Note9. 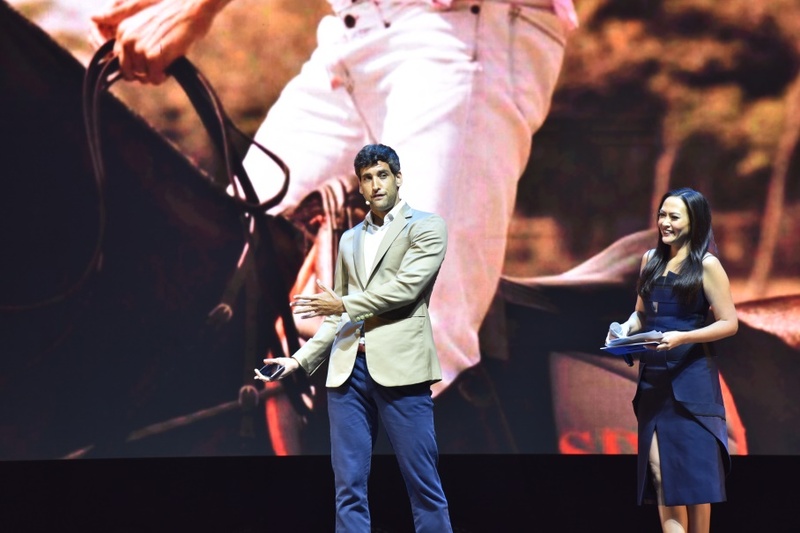 At the media launch of the tech giant’s latest flagship smartphone held at the Marriott Grand Ballroom, the newest ambassadors shared how the powerful smartphone helps them do more and be more in life. With a decorated career spanning over two decades, Heart continues to redefine herself to make a difference with her talents and passions. Through artistic ventures and humanitarian endeavors, the actress molds the best version of herself to empower others. 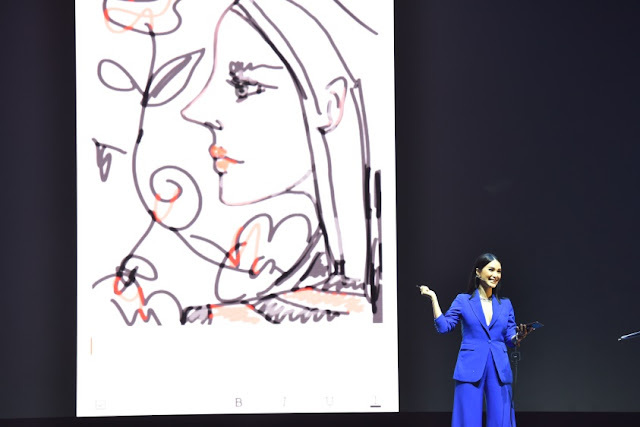 With the Connected Bluetooth S Pen, it becomes easier for the actress not only to create works of art when she is on-the-go, but also control her phone and capture inspiration. Aside from doing sketches and jotting down ideas, she can use the S Pen as a clicker to take better photos, browse through her phone’s gallery and design pegs, and even activate various applications. Lasting for around 200 clicks or 30 minutes of continued use, the S Pen only needs 40 seconds inside the Galaxy Note9 to charge back to full power, allowing Heart to use it anytime, anywhere with ease. Exuding limitless energy and enthusiasm, Nico embodies the work-hard-play-hard lifestyle. Away from the cameras, the Argentinian diligently helps farmers in the country practice sustainable agriculture. Through his company, Nico aims to position the Philippines as a leading agro-export nation. the SAMSUNG Galaxy Note9: bigger storage and powerful battery. Nico’s lifestyle benefits from the ultimate performance that the Galaxy Note9 delivers. Boasting a long-lasting 4,000 mAh battery, the smartphone helps him accomplish more within the day. He can also send emails, call his family or friends, and stream content with ease as the Galaxy Note9 operates on a 10 nanometer Application Processor. This tiny yet powerful chipset allows Nico to experience faster loading and transition times within multiple applications. He can also carry many important files, with the Galaxy Note9 pioneering a 128GB base capacity. Also available in a limited 512GB variant, the Galaxy Note9 supports expandable memory of up to 512GB, allowing up to 1TB of storage. The smartphone also utilizes Samsung Knox, the company’s mobile security platform. Erwan draws from years of working from the ground up to creating memorable culinary experiences. As a chef, content creator, and restaurateur, the Filipino-French is always on the lookout for ways to improve his craft. “When you’re a food and travel enthusiast, it’s always important to keep your mind open and your senses engaged. That’s the only way to learn as much as possible and to help others see the beauty of other cultures and lifestyles,” shares the 31-year-old. new device's Intelligent Dual Camera helps him capture engaging content. Erwan uses the Galaxy Note9 to reimagine the way he experiences, shares, and learns about the world. Able to take gorgeous low-light shots and Super Slow-mo videos, the Galaxy Note9’s Intelligent Dual Camera now comes with Auto Scene Recognition and Auto-flaw Detection, allowing Erwan to optimize his photos based on the subjects being taken. It can also report flaws, ensuring that all pictures look professional and breathtaking. 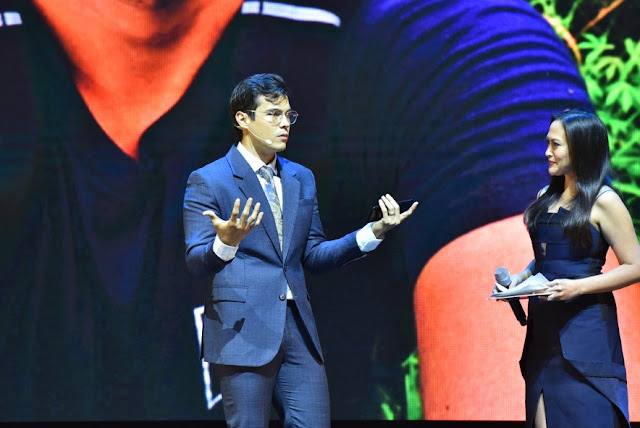 Join Heart, Nico, and Erwan as they work on becoming even more powerful achievers with the Samsung Galaxy Note9. Pre-order until August 19, 2018 to enjoy exclusive freebies worth up to P17,800. Those interested in the pre-order exclusive of 512GB storage will receive a free 2018 Samsung 32” Smart HD TV with a 2-year warranty or Galaxy Tab A 7” when they pre-order the 128GB variant. All pre-orders will come with NanoFixit Screen Protection with one-year insurance of up to Php10,000. Get an additional 10 percent discount on the total bundle upon purchase of special add-ons such as the new Samsung Galaxy Watch and/or Samsung Galaxy Tab S4. Visit samsung.com/ph/note9preorder for more information on the Galaxy Note9 pre-order promos. The Galaxy Note9 will be available on August 24 at a suggested retail price of PHP 55,990 (128GB). The 512GB variant, priced at Php 75,990, is exclusively for pre-order only. For more information, visit the Samsung Facebook page or log on to samsung.com/ph.